Did you know that regular exercise can actually improve the symptoms and quality of life for POTS patients more effectively than a beta blocker? While doctors often reach for the prescription pad to cure our healthcare issues, diet and exercise are often key players in health issues, and dysautonomia is no exception. For many, a combination of medications, along with changes in diet and exercise is the answer to achieving their best health with the many conditions that fall under the dysautonomia umbrella. Exercise is an integral part of that equation. I didn’t see significant improvement in my own Postural Orthostatic Tachycardia Syndrome (POTS) until I began to incorporate exercise into my daily routine. Of course one doesn’t just start doing jumping jacks or running track with dysautonomia. The first thing you want to do is speak with your doctor and get cleared for exercise. Your doctor can also help you choose a healthy target heart rate and ranges for cardio exercise. It may also be a good idea to work with a physical therapist to help you decide what level of exercise to begin with and what’s safest for you. Dysautonomia International suggests that some patients may even benefit from a cardiac rehabilitation program. How much energy we expend can be just as important as the type of exercise. In fact, exercise intolerance in dysautonomia is very real and many of its accompanying primary or comorbid conditions like MCAS or ME/CFS. Exercise intolerance means that an increase in activity can cause an increase in symptoms for an illness, most notably fatigue levels. Where the confusion comes in with this concept is that people assume that any exercise becomes problematic for someone with these conditions and that’s simply not true. What it does mean is that we have a lower threshold of tolerance than healthy people and we need to modify how we exercise. For people with dysautonomia, this means avoiding exercise in an upright posture along with monitoring how much energy we expend. 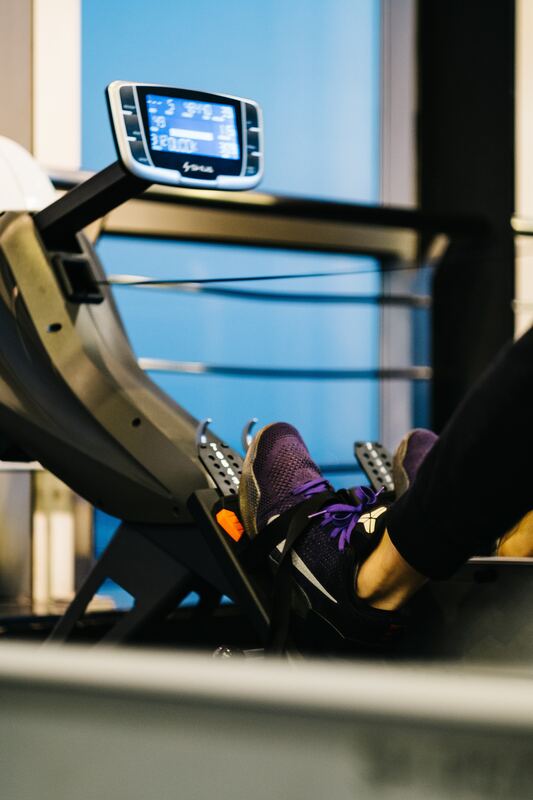 The first part of this equation is pretty easy to understand; we want to partake in exercise that can be done from a sitting or laying down position, such as recumbent biking, rowing, or swimming for our cardio. If we lift, we want to do so in a sitting position. Things like dance classes and barre should probably be eschewed for spin class, pilates, and yoga, while still avoiding certain positions. It’s all about being safe and not giving our intolerance to standing the opportunity to rear its ugly head. Pacing for exercise intolerance is a bit trickier. No one can tell you where that wall is for you and the best thing is not to find it, but to strenuously avoid finding it, as it can take several days to recover from triggering your exercise intolerance. We all know what it is, because it’s that feeling that usually makes us say “Oh no! I think I overdid it!” as we feel the state of our health crumble like a cheap facade. But how to avoid it? Forget the no pain no gain bull. That’s not for spoonies. Count exercise in your spoons. Your exercise is part of your health care and necessary to staying/becoming healthier. It should come first, but if you have something else to do in a day that’s going to take more spoons than you have, exchange it with your exercise to avoid triggering your intolerance. Start out at the appropriate level of exercise. Avoid straining your muscles. You DO NOT need to strain your muscles to build them. Do an appropriate number of reps. Even if it’s only 1 set of 10 or 3 sets of 5, you’re still getting the work in. Good for you! If you wake up already fatigued, hydrate and supplement with salt. Take a break or decrease the number of reps if rehydration doesn’t help. Keep in mind that upright exercise will always cost you more spoons, so if you exchange your 3 mile recumbent bike ride for a trip to a park to walk 2 miles, the walk to the park is going to cost more spoons. Keep a journal of your exercise to ensure you’re gradually increasing your exercise and offering yourself enough challenge without regularly triggering your exercise intolerance. Try not to take breaks longer than 1-2 days. Decrease workouts rather than cut them completely to avoid losing ground. Since I was bedridden when I started out, I had to start out very slowly, using simple exercises that can be done in bed. I wasn’t just fighting exercise intolerance, I was fighting serious muscle deconditioning, which can contribute to the severity of dysautonomia and the level of exercise intolerance you may experience. The last thing you want to do when starting a new exercise program is trigger exercise intolerance. You want to start out gently, doing exercises you’re confident you can do at a number you’re sure won’t make you sore or wear you out. While I did this rehabilitation alone, it is probably better to go through an approved therapy program that’s arranged by the doctor caring for your dysautonomia. You really need someone who can direct your practice and ensure you’re not only performing exercise that’s safe for your condition(s), but also appropriate for your starting level of fitness to avoid any injury. While I’ve always been a bit of a do-it-yourselfer, I say this because ultimately I ended up in therapy later, attempting to correct all the weakness that remained because I was either not doing exercise to target those specific areas or I was doing them incorrectly and hurt myself. I could have saved myself months of pain and hassle had I just gone and requested the therapy in the first place. It may be frustrating to start out so slow and you may be bored, but don’t worry. You’ll be amazed with how quickly your stamina increases and soon you’ll be able to take on more. The great thing about working within our own limitations is that those limitations become less constraining quite quickly. Before you know it, 10 minutes will become 15, 15 will become 20 and before you know it, you’ll be devoting a whole hour to ninety minutes a day exercising. Even if you can only last 5 minutes to start, you’re getting somewhere. But you can only get somewhere if you keep going. No matter what level you’re starting at, it may be possible to work your way up to unmodified, upright exercise. This can be largely dependent on comorbid factors, but dysautonomia is not an incurable condition for everyone and while well controlled, some of us with it can lead almost normal lives, which includes normal exercise. For example, by the end of the previously mentioned study on exercise versus beta blockers, 10 participants could no longer be diagnosed with POTS at the end of the three month trial (Exercise). As someone with POTS as a secondary diagnosis to EDS and MCAS, I may always rely largely on my recumbent stationary bike for my cardio. However, I’m also able to incorporate occasional upright exercise as well, such as walking at parks, stair climbing, and light aerobic exercise. Not too shabby for a former occasional wheelchair user. Actually, it’s been over a year since I’ve pulled my wheelchair out for any reason, even attending museums, festivals, concerts, sporting events, malls and parks with nothing but my own two legs to carry me. Like many, I use a combination of meds, exercise and diet to manage my dysautonomia. I enjoy fewer symptoms, greater stability of health and more freedom overall because I’m no longer worried about passing out in public every time I leave the house. Finally, exercise is a great way to feel more in control of my illnesses and in touch with my own body again. Capricious Lestrange is a former educator who loves to write. When brain fog prevented her from writing the fiction and poetry she loves, she turned to blogging and now writes about her life, her health conditions and what she does to keep them in check. She enjoys spending time with her loving husband, her adorable Russian Blue kitty and dabbling in the visual arts when she doesn’t have her nose stuck in a book. Capricious has EDS, MCAS, POTS, CPTSD, and gastroparesis.